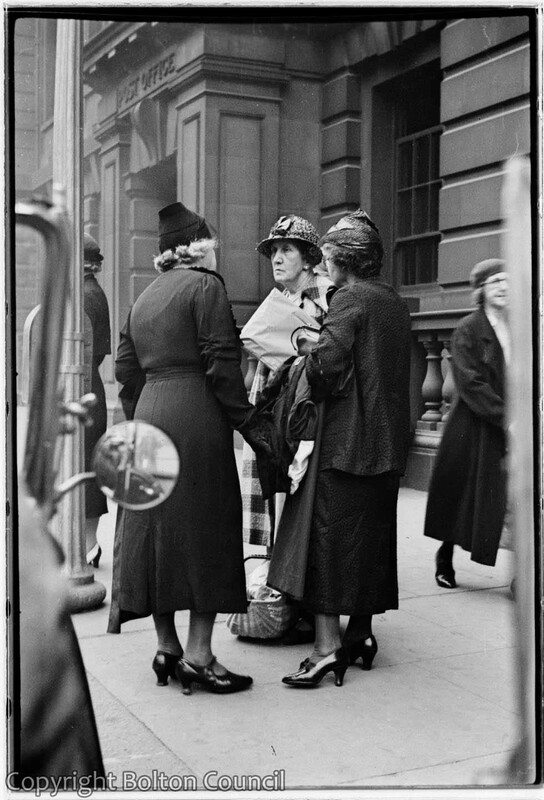 Women outside the Post Office on Deansgate. The Post Office is still in use today (2012). This photograph was taken by Humphrey Spender from a car- a good technique for being an unobserved observer. Was this also the Telephone Exchange? If so my mother used to work there as a Switchboard Supervisor. She was called June Ainsworth, later Barlow after she married Dad.